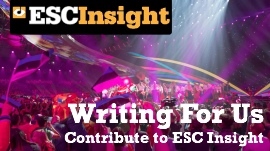 The final Semi Final step of this year's Eurovision Song Contest is here. It's time to get #AllAboard with Ewan Spence and Lisa-Jayne Lewis in ESC Insight's Alternative Commentary track for the second semi-final from Lisbon's Altice Arena. The final steps of this year's journey finally arrive. 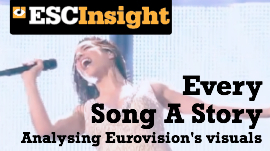 It's time to get #AllAboard with Ewan Spence and Lisa-Jayne Lewis in ESC Insight's Alternative Commentary track for the first semi-final from Lisbon's Altice Arena. Ewan Spence and Lisa-Jayne Lewis take you though the Grand Final of Eurovision 2017. Press play before the show starts, and don’t forget to pause for the music when you hear the beep! This year's journey continues with the second Semi Final. 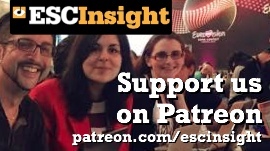 Share the moment with Ewan Spence and Lisa-Jayne Lewis in ESC Insight's Alternative Commentary track for Thursday's show from Kyiv.